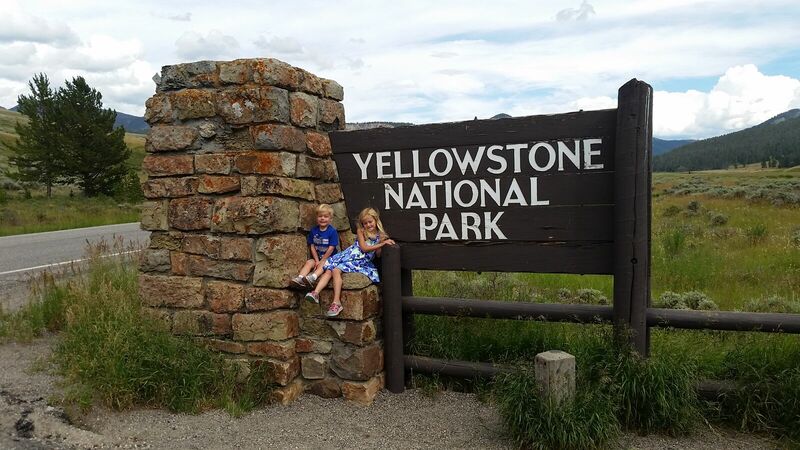 As my children and I continued our 5,100-mile journey across the U.S, we decided to take a scenic break and drive from Bozeman, Montana down to West Yellowstone. After all, it didn't look that far on the map! Thankfully, we did this the same day we visited the Museum of the Rockies, so my children were armed with their newly purchased binoculars and were on the hunt for buffalo. The drive down to West Yellowstone ended up taking quite a bit longer than I anticipated - about 90 minutes - but was well worth our time. The expedition to find buffalo began as we journeyed along the Gallatin River, witnessing numerous rafters and fly fishermen. Big Sky was the perfect stopping point for a potty break and for my children to view this majestic mountain. We continued on our journey looking for wildlife, but the day's rainfall must have kept them all hidden. Despite the long journey down to West Yellowstone and the lack of wildlife sightings, my children were enamored with the changing scenery and the signs hinting that buffalo might be just over the next hill. We briefly drove through Yellowstone National Park and discussed all that the park had to offer, but our bellies were beginning to grumble so we didn't spend much time here. We had planned to stop and eat in West Yellowstone, but after not being able to find parking, we decided to journey back towards Bozeman. 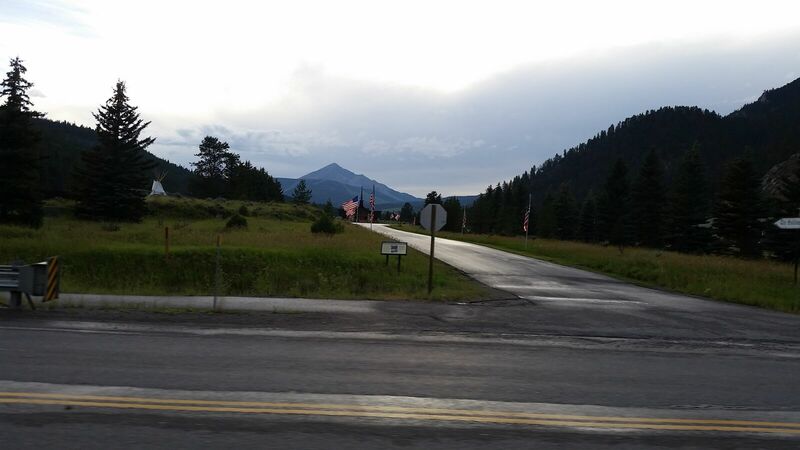 As we got closer to Big Sky, we saw the entrance to 320 Guest Ranch and their steakhouse. Making the decision to check it out, we pulled off and enjoyed crossing the bridge over the Gallatin River and coming next to horses. Our stop at 320 Guest Ranch was one of the best surprise finds that we had here in Bozeman. Because of my lack of mobile service, I wasn't able to check out Yelp or other reviews, so I was completely taken aback at this amazingly delightful locale and dining establishment. Not only was the service impeccable, but they also were extremely welcoming to the two jumping beans that my children had turned into after sitting in the car for so long. We also learned that we were dining amongst some of Montana's great history - 320 Guest Ranch was the home of Dr. Caroline McGill, a doctor who believed outdoor living was beneficial to her patients. We also learned that much of Dr. McGill's collection of antiques were used to start the Museum of the Rockies (previously known as the McGill Museum). 320 Guest Ranch offers a kid-friendly Little Wrangler Menu from which my children enjoyed the chicken fingers and a burger. 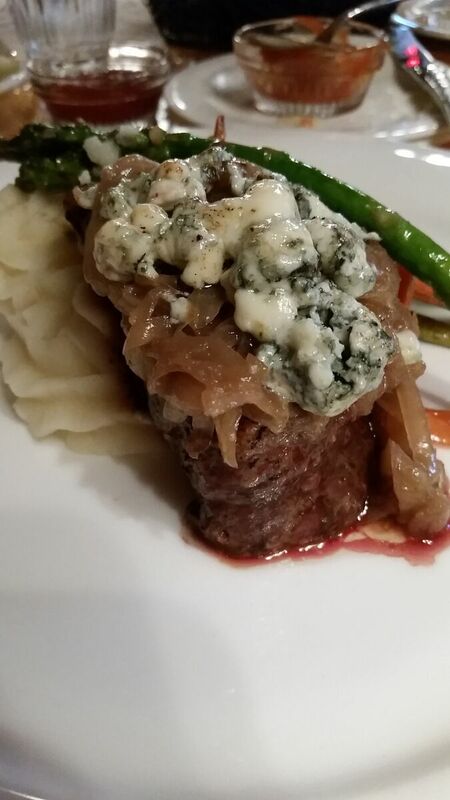 For me, I was finally able to relax and once again feel like an adult as I enjoyed selecting one of their numerous wine selections, featuring many California and Pacific NW vineyards, and the Rancho Picante Montana Bison selection from the menu. Absolutely divine! 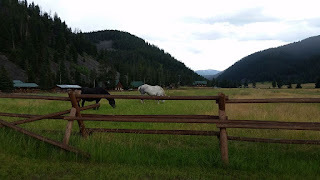 Whether just taking a day trip down to West Yellowstone from Bozeman or looking for a lengthier stay in Big Sky country, I highly recommend taking a look at 320 Guest Ranch. I'm hoping that, on future travels, we will have time to book a stay here and enjoy all that they have to offer. 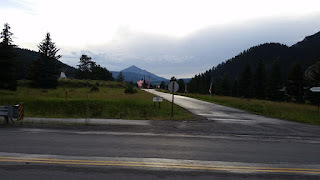 If I had to do Bozeman over again - which I hope to one day return - I would spend much more time exploring the history and scenery of this locale. 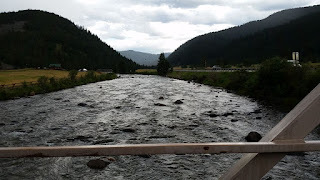 There were so many things we just didn't get the chance to see, like staying on a working ranch or visiting the wolf sanctuary - not to mention all we didn't get to do with the rafting and fishing. 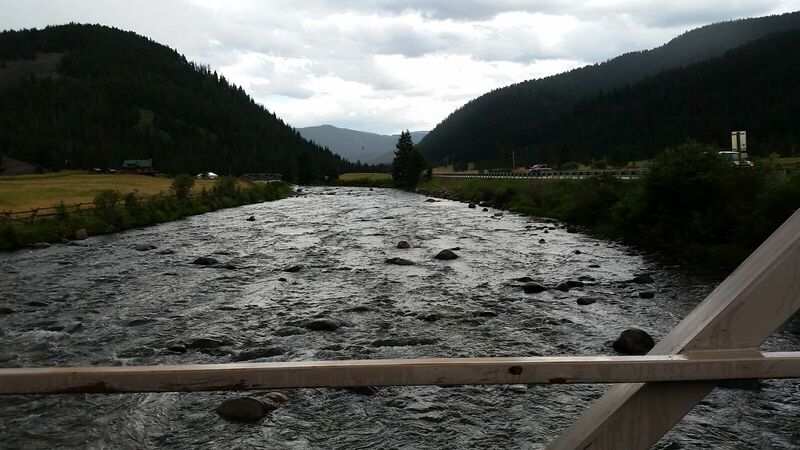 But, if you have just a day or two in Bozeman, be sure to take the time to make a trip down the Gallatin River. You'll be glad you did! But, if you are searching for buffalo, be sure to enter Yellowstone through the northern entrance...as we couldn't find any through the west entrance!